All of our clinicians are skilled at working with children, adolescents and their families with a variety of issues from ADHD, adjustment disorders, anxiety disorders, learning disabilities, to divorce and psychosomatic illness. We also treat autism spectrum disorders, developmental delays, school problems and perform psycho educational assessments. 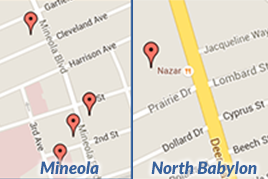 We are located at Winthrop-University Hospital in Mineola. Parents can call Dr. Bryson- Brockmann at (516) 663-4432 if they are unsure which clinician would be right for them and call the individual clinician to check insurance status. We will often work with parents who don’t have coverage and adjust our fees accordingly.